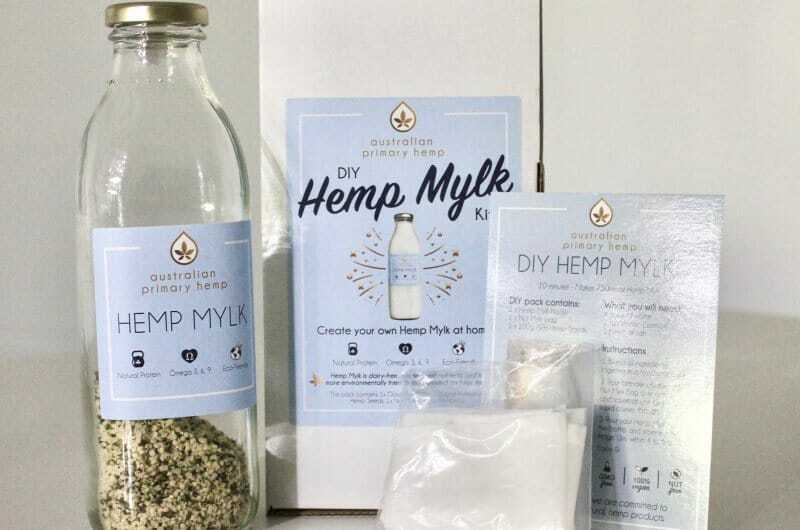 Australian Primary Hemp has released what it says is the nation’s first DIY hemp “Mylk” kit for those who want to tinker with producing hemp milk at home. Hemp milk can be hard to source in Australia as it seems it is flying off the shelves, so Australian Primary Hemp has produced a kit enabling people to make their own. Cost of the kit is $29.99 plus shipping (which appeared to be $10). If you’re looking for a cheaper alternative, you could always just buy the hemp seeds from Australian Primary Hemp ($28.50 for 500 grams + shipping), source your own bottle and straining cloth and refer to the many Youtube videos for instructions on how to make hemp milk – it’s very simple to do. Some forgo the straining cloth as the sediment is quite fine. As we mentioned last week, there’s been rumblings in the Australian dairy industry and elsewhere regarding use of the term “milk”. Some in the industry believe if a product doesn’t come from a cow, it shouldn’t be called milk; so the “mylk” distinguishes it from dairy products. There are also some consumers wanting to avoid dairy products for whatever reason and the word “milk” may make some think it contains a dairy product. Since starting in August 2016, Australian Primary Hemp has evolved into one of the nation’s largest producer of locally grown hemp. Based in Geelong, Victoria, its hemp is grown on a property in the west of the state, with grower partners in Tasmania, New South Wales, Victoria and South Australia.